The kits, geared toward kids ages four to 10, includes things like alligator clips, flashlight bulbs, and zinc nails. 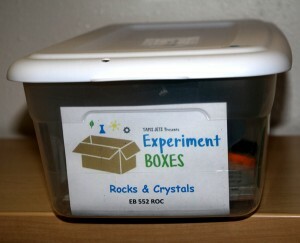 The boxed experiments come courtesy of high schools students at the Texas Academy of Mathematics and Science program at the University of North Texas, who wanted to see if they could stoke the love of science in their younger peers. All the library had to do was provide bar codes and labeling so the kits could be put into circulation. Read the full article in School Library Journal.